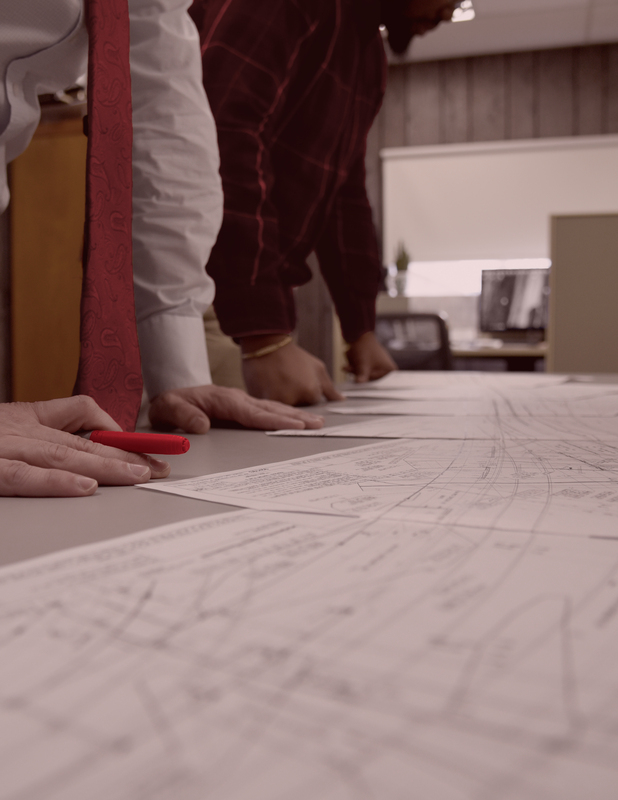 Company Newsletters – KC Engineering and Land Surveying, P.C. This June, we speak with Mayor Alexander of the Village of Wappingers Falls to discuss ten years of infrastructure revitalization. 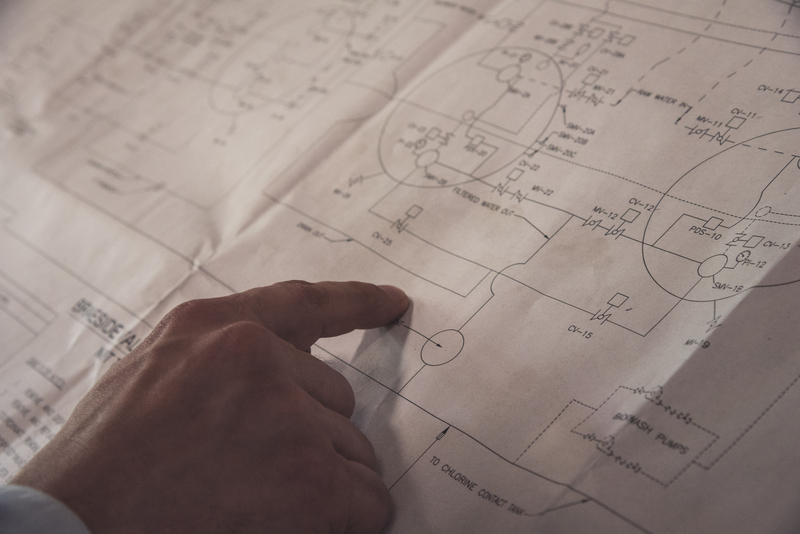 An employee interview, interesting statistics, and a host of other features within. 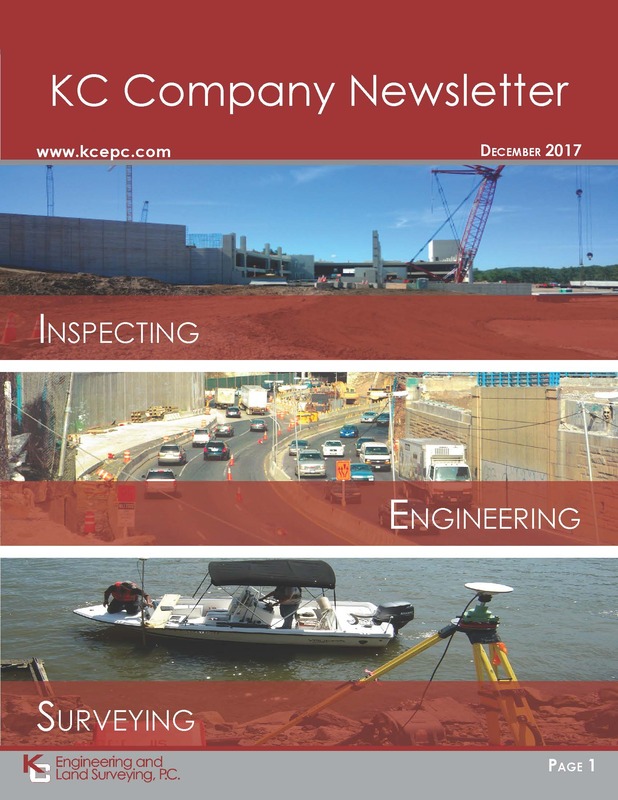 Download KC’s Company Newsletter – June 2018 edition to keep up with KC’s latest news! 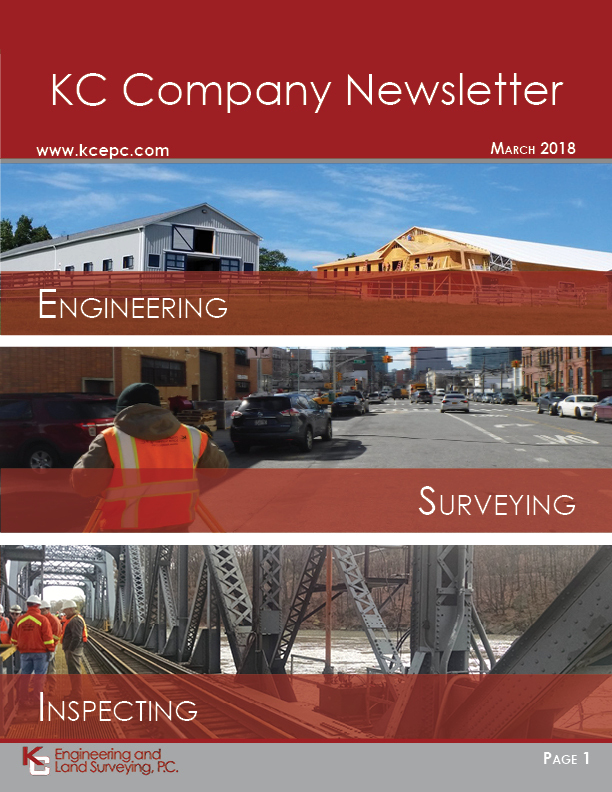 Download KC’s Company Newsletter – March 2018 edition to keep up with KC’s latest news! 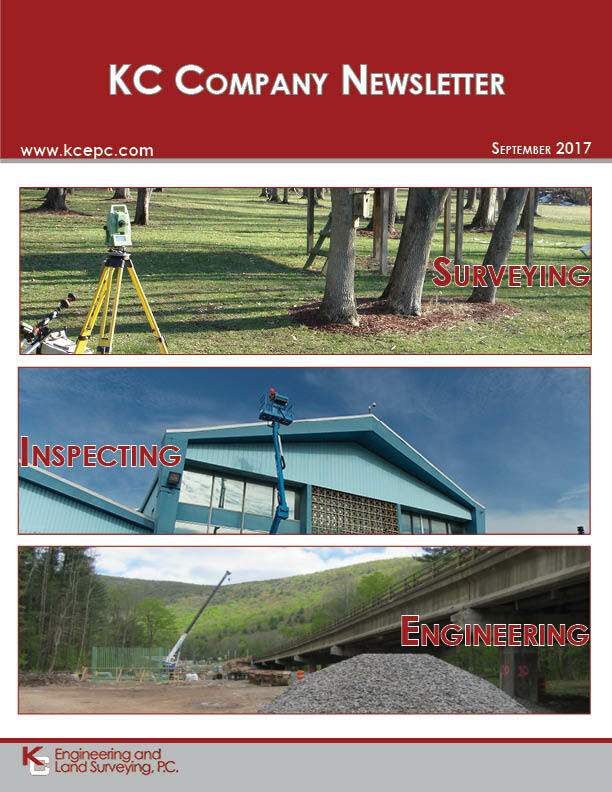 Download KC’s Company Newsletter – September 2017 edition to keep up with KC’s latest news!